The digital sound meter CEL-246 has a simple interface with two keys that represent the options visualised at the bottom of the screen. 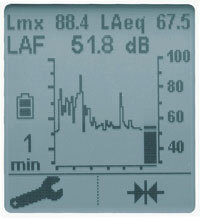 The digital sound meter is very easy to use and all the set up changes are saved. The next time you switch on the unit, the settings will be still the same. 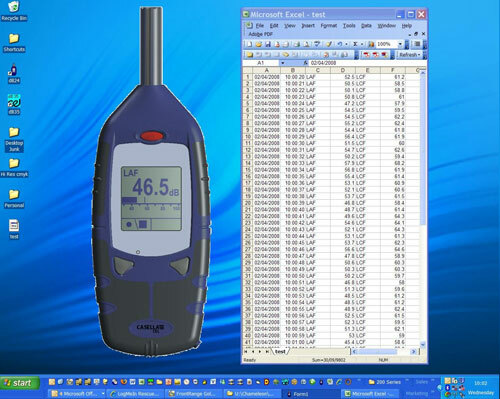 In order to measure accurately the fluctuations in the noise levels, the digital sound meter CEL-246 measures average values integrated with time (Leq for the European norms and Lavg for the American standards). 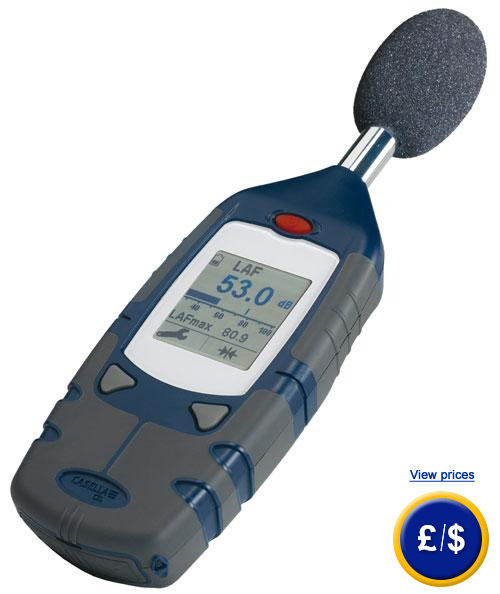 The sound meter CEL-246 offers a simple interface with two keys to make specific sound measurements of diverse applications such as prevention of labour risks. Due to the latest digital technology, the robust and compact sound meter CEL-246 offers an excellent repeatability that assures the highest precision levels and output. The digital sound meter CEL-246 with its incomparable high resolution screen can visualise the chronological file of the noise levels offering a simple evaluation of noise. In case of any further questions concerning the sound level meter, please see the technical specifications below or contact us. Our technicians and engineers will be happy to advise you on any product our regulation and control systems, meters and scales of PCE Instruments. With this software you can register and store real time data on a computer through USB exit. The levels of sound pressure are stored every second with the dB24 in a data file that is compatible with applications of computer spreadsheets. You also have access to the data stored in the CEL-246 registry model, as these units are like a memory pencil, allowing to transfer data to spreadsheets.